I have recently accquired a 6 Foot long 125 Gallon Aquarium, I want to make this another salt Tank, but I have no idea for stocking. I would like to get larger angels. This is going to be a Fish Only System, so no inverts for me! Any help would be greatly appreciated! OK a 6 ft tank. you are ready for the world of large angels and my favorite the tang. I cant speak for angels as I have a reef but some tangs would be nice. I have some nice pics in my images if you want to check it out. The yellow and hippo tang will do good in that size tank. Why dont you put together a preliminary list on what you`d like to have and we can go from there. You are going to have LR in the tank right? I will most likely have live rock in the tank, but I'm not getting any until I have it set up completely, I had to reseal it. I want to get some larger angels like the french, a queen, or a Blue. and some blue and yellow tangs other than that I have no idea what I want to keep in it. Though this tank is large, I'm not sure its large enough for some of those angels. I don't know if you have ever seen one of those full grown, but they get HUGE. I would probably steer away from a lot of them, though there may be some smaller species of the large angels. Have to agree here actually. They will outgrow even a 125 somewhat quickly. I've heard that many of the large angels swim miles and miles a day up and down reefs. So it isn't even as much a factor of size as it is room for them to swim. No personal experience with them though so others may chime in and correct me here. 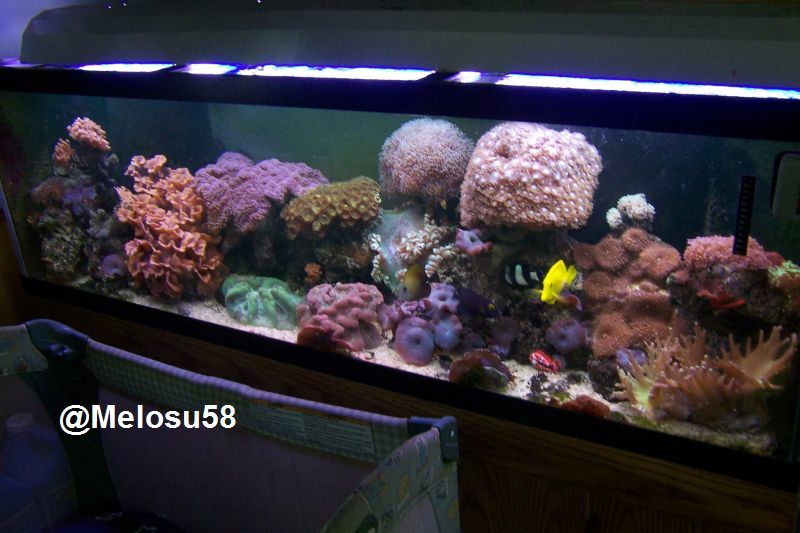 Go with the tangs and some of the lower light coral (mushrooms, etc) for some color and variation. And re-consider the inverts as I find them very interesting and great janitors. Shrimp, starfish, snails, etc. You've gotta have rock in the tank. About 100 to 150 lbs IMO. You say "I will most likely have rock". 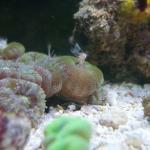 Study more about how rock provides for natural filtration for the tank and about the huge variety of interesting things that live on or in it. Yes I am going to get Live Rock, I will not get corals because I don't have good enough water here and no RO/DI unit. What type of large angelfish would be good for my tank? Something under 1' and rated 70 gallons on LA. There are some that say 100 gallons, but you have to consider how many gallons of usable and swimming space are in there. After you put lots of LR and things in there, there isn't as much space. Only keep one of them though.